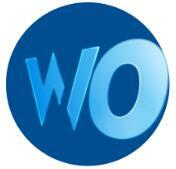 According to the reports from considerable users, they often come across slow internet in various time. At that time, most people would prefer to make use of the Windows Network Diagnostic tool embedded in Windows system to figure out what the network trouble is. But to their surprise, it displays a confusing problem regarding network on Windows 10, which is Windows could not automatically detect this network’s proxy settings. To tackle this Windows proxy error, you would better take advantage of this resourceful article. Why Could Windows Not Automatically Detect This Network’s Proxy Settings? The Proxy is a system program like an intermediary agent connecting to the network. 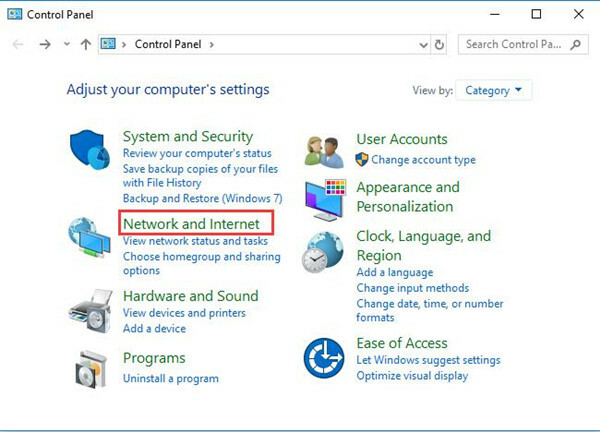 And the Proxy settings are necessary if you would like to allow Windows system access the proxy server which is the prerequisite for internet connection. But on Windows 10, proxy settings can happen to various problems, the most common ones are Windows cannot save proxy settings, Windows 10 won’t change or keeps changing proxy settings. Whatever your network issue is, the culprits of the proxy trouble are nothing but the erroneous or problematic proxy settings and network adapters on Windows 10. 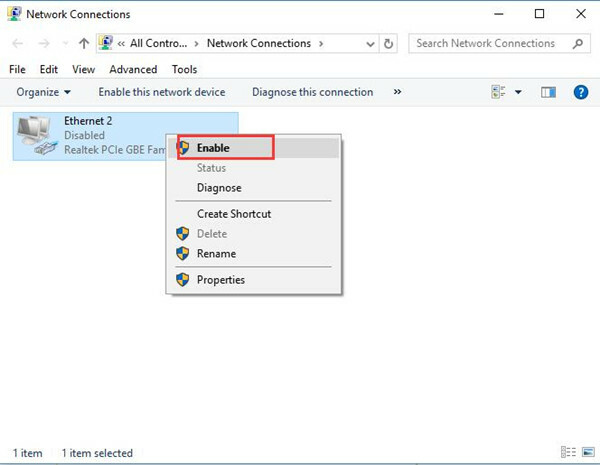 In order to solve this Windows could not automatically detect this network’s proxy settings problem, you can try the following effective ways on Windows 10. How to Fix Windows Could Not Automatically Detect This Network’s Proxy Settings on Windows 10? It is advisable that you attempt to make an adjustment for network proxy settings, to update the network drivers and to change some related settings to handle this Windows 10 network issue. Sometimes, maybe you have carelessly disabled the automatically detect settings for the proxy, therefore, there is much need for you to check the proxy settings for Windows 10 to make sure the option that automatically detect settings is checked on your PC. 2. In Control Panel, decide to View by Category and select Network and Internet. 3. 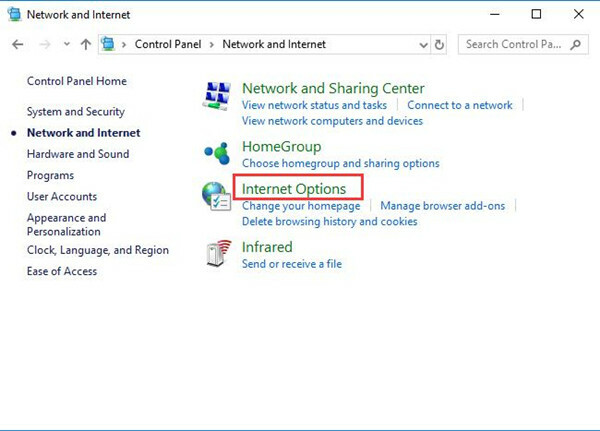 In Network and Internet window, choose Internet Options. 4. In Internet Properties, under Connections, find out LAN settings. 5. 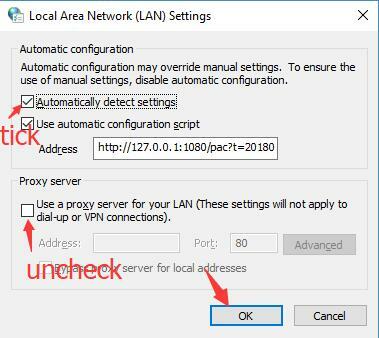 In LAN Settings interface, tick the box for Automatically detect settings and then uncheck the box for Add a proxy server for your LAN. Finally, hit OK to save changes. In that case, you are free to automatically detect the proxy settings on Windows 10 and the Windows could not automatically detect error has disappeared from the Lenovo, ASUS, Dell, etc. It is said that the outdated or corrupted network driver can also be the reason why your PC runs into Windows could not automatically detect proxy settings for Windows 10. 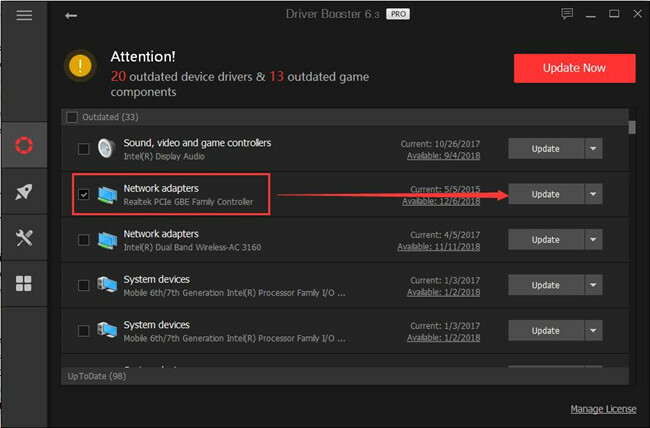 As the incompatible network adapter is not suitable for the newly installed Windows 10, thus you would be suggested to download and install the latest network drivers to see if the proxy settings can be detected automatically this time. Of course, you are able to update the network drivers in Device Manager or from the official site, but for some computer novices, it may seem difficult for you to deal with this internet issue on your own. Here it is strongly recommended to install the newest network drivers automatically by Driver Booster. It is reliable and professional driver tool for Windows 10. Driver Booster will be the best choice to help you finish this task. As the best driver update software, Driver Booster can download all the missing, outdated drivers at one time, and then update these drivers automatically. 2. 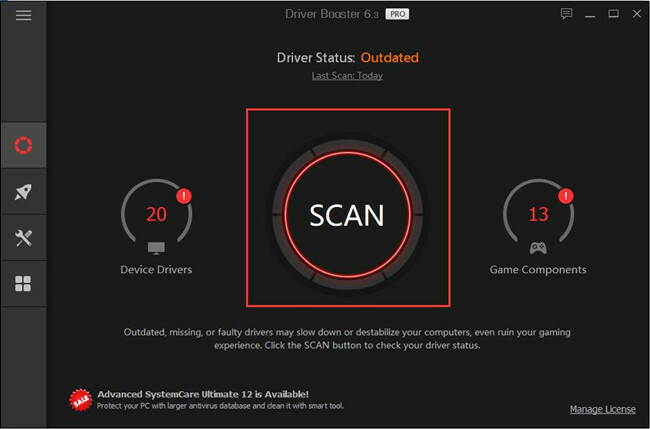 Hit Scan, Driver Booster will scan all the devices for your computer and told you how many missing and outdated drivers. 3. Find the Network adapters, and Update it. Now at this moment, with the most up-to-date network adapters on Windows 10, you are capable of automatically detecting the network’s proxy settings. In some situations, the internet adapter may also go wrong on Windows 10, so you need to restart or reset it to tackle the Windows could not automatically detect this network’s proxy settings on Windows 10. 1. 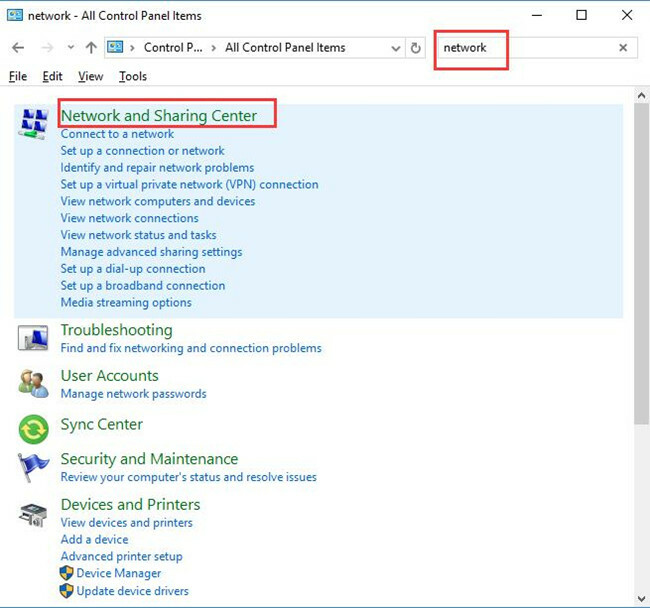 Go to Control Panel > Network and Internet > Network and Sharing Center. 2. 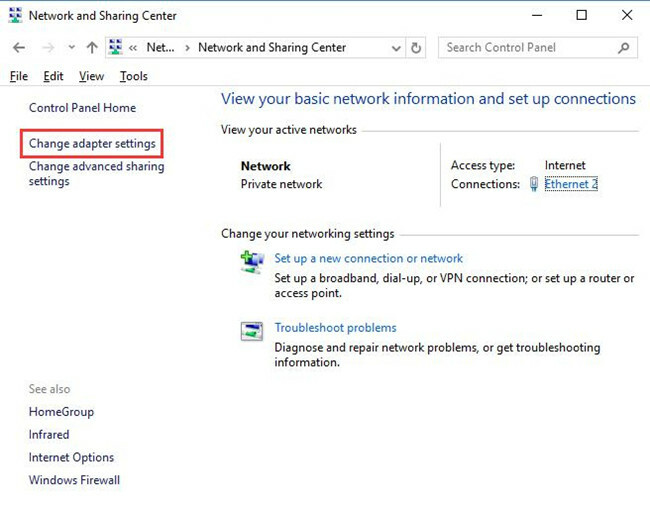 In Network and Sharing Center window, pick out Change adapter settings. 3. 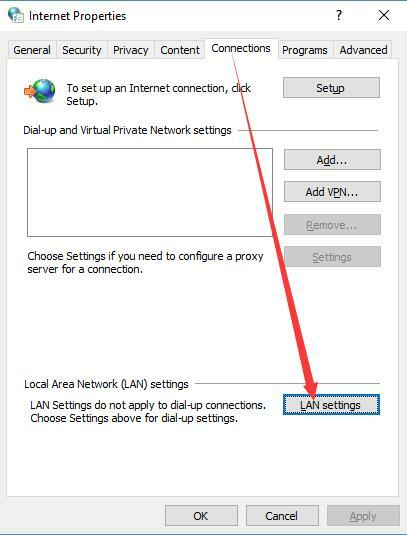 Right click the network adapter you are using, Ethernet or WIFI to Disable. And if Windows 10 needs you disable the network connection with the administrative privileges, just enter the passwords for the administrator account. 4. Again, right click the network you have connected to Enable it this time. Now manage to reconnect your computer to network, WIFI or Ethernet. 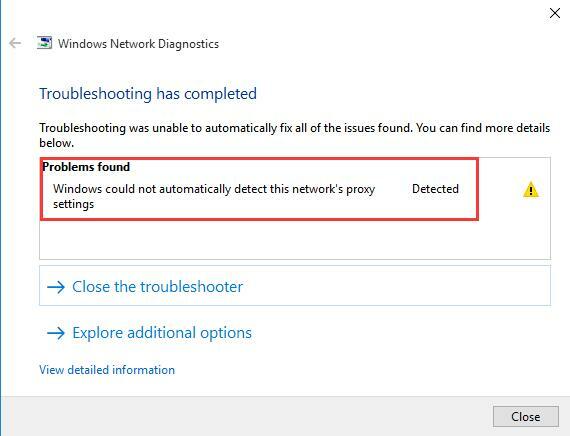 You will find the error that Windows could not automatically detect this network’s proxy settings have been solved successfully for Windows 10. As the internet communication protocols, the Transmission Control Protocol (TCP) and the Internet Protocol (IP) are essential for the network. The proxy is no exception. Under this circumstance, when you stumble on the Windows could not automatically detect this network’s proxy settings error, struggle to reset the TCP or TP on Windows 10. 1. Search Command Prompt in Start search box and press Enter to navigate to it. Here you must get into Command Prompt as administrator. 2. In Command Prompt, copy the command netsh int ip reset resetlog.txt and then stroke Enter to execute it. Here it is also available for you to enter and run the command netsh winsock reset in command prompt to reset network sockets. Sign in and check whether the proxy issue has been fixed or not. In view of the reports from users, it is possible that the corrupted system files or images lead to the Windows could not automatically detect this network’s proxy settings trouble. Hence, you may as well use the System File Checker tool on Windows 10 to scan for the problematic system files. 1. Open Command Prompt from the search box with the administrative privileges. 2. In Command Prompt, type sfc/scannow and hit Enter to perform this command. Then you can see the SFC tool is checking the system files, if there are any erroneous files on Windows 10, it will let you know and automatically correct them for you. 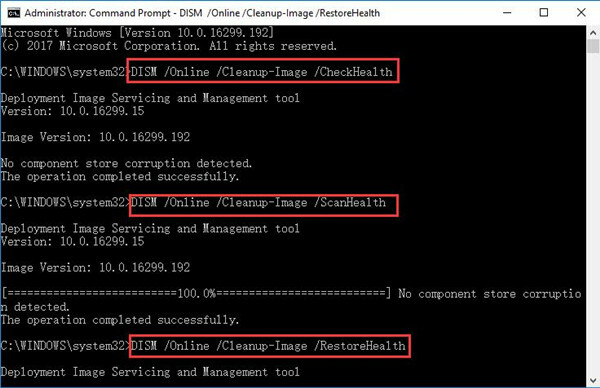 Although the file error is remedied, the system images problem remain on your PC, now why not run DISM (Development Image Servicing and Management)to correct the wrong images. In Command Prompt, input the following three commands by order and stroke Enter to activate this command to utilize DISM. 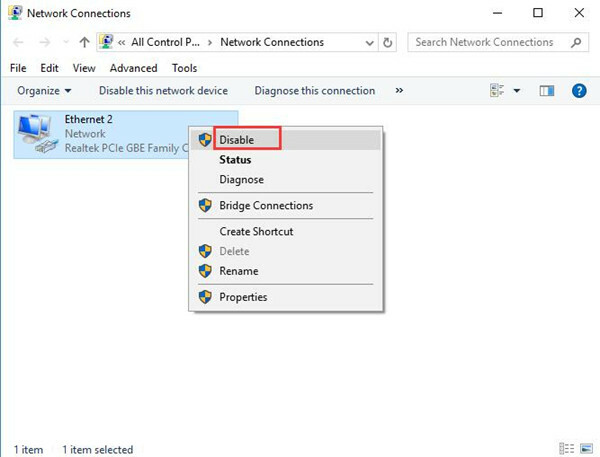 Once the DISM has completed the detection, you are enabled to connect to the internet as you like as the proxy settings can be automatically detected by Windows 10. Unless all the methods are useless for you, or you would better not try this way to tackle the Windows could not automatically detect this network’s proxy settings on Windows 10. 1. Go to the path: Control Panel > Network and Internet >Internet Options. 2. 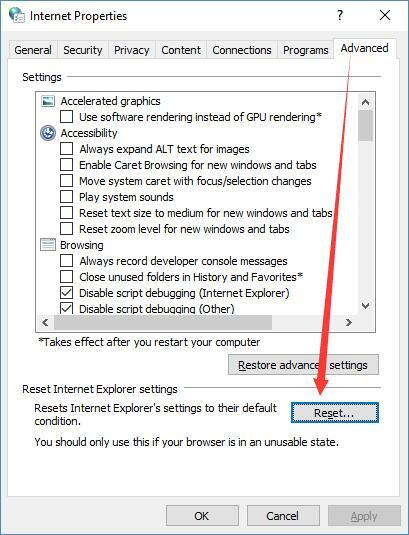 Under Advanced, click Reset for Internet Explorer Settings. 3. In the Confirmation window, hit Reset. 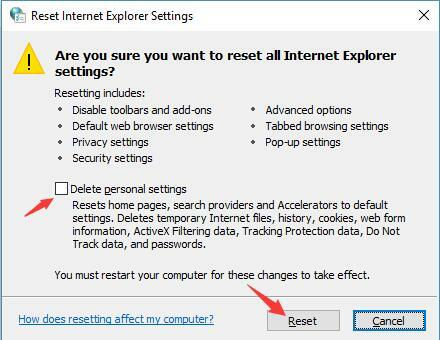 Here you are capable of seeing how does resetting affect my computer and it is also accessible for you to Delete personal settings. 4. Follow the instructions to finish the resetting. After that, run the Windows Network Diagnostic tool again to see if the proxy errors have vanished. If any, Windows would release a set of features making your PC more compatible with Windows 10, as for the Windows could not automatically detect this network’s proxy settings, maybe the update can help a lot. 1. Navigate to Start > Settings > Update & Security. 2. 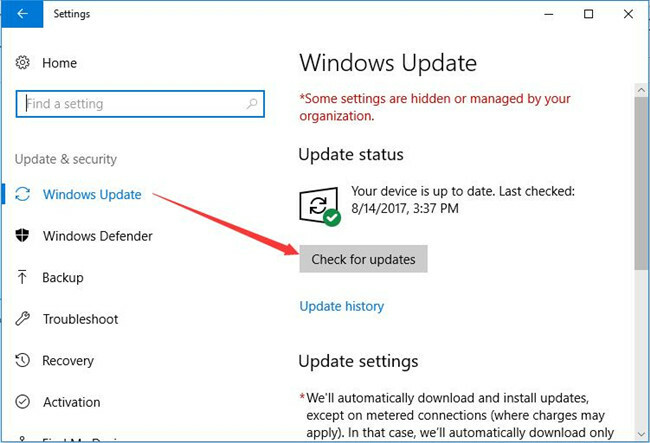 Under Windows Update, select Check for updates. Immediately the updates installed on your computer, you can notice that the Windows network issue has been handled. Above all, these ways are the most powerful and effective ones concerning the problem that Windows could not automatically detect this network’s proxy settings. In case the varieties of this error, if you find nothing happens even if you tried all the solutions in this article, unfortunately, maybe it is time for you to restore the system so as to resolve the proxy issue on Windows 10.